Distracted driving is one of the biggest issues on Ontario roadways today. It has surpassed impaired driving as the number one killer on the roads, and it is an issue that drivers need to take more seriously. Perhaps the most important thing to keep in mind about distracted driving is that it is preventable. If each driver were to do their part and be more dedicated to avoiding driving while distracted, countless accidents, injuries, and deaths could be prevented on Canadian roads. Is it because drivers think that checking their phone while driving isn’t a big deal? Are people overconfident about their driving abilities? Have people become desensitized to anti-distracted driving campaigns? Or are people still not clear about what is and is not considered to be distracted driving? Why Is Driving While Distracted Dangerous? What Are the Distracted Driving Laws In Ontario? Operate handheld electronic devices while driving. View display screens that are unrelated to driving. What About Hands Free Devices? Are There Exceptions to the Distracted Driving Laws? There are some exceptions and situations where safe cell phone use is permitted. You can call 911 in an emergency situation, and you can use handheld devices when you are lawfully parked or have safely pulled off the road and are not impeding traffic. Emergency personnel such as police, firefighters and EMS are permitted to use cell phones while driving. “Commercial and public transit drivers, as well as public service workers who are engaged in the performance of their duties, will be able to view the display screens of mobile data terminals and logistical tracking and dispatching devices,” says MTO. Distracted Driving Laws in Ontario – What Are the Penalties? How will distracted driving impact my record? How many points is a cell phone ticket in Ontario? What is the fine for texting while driving in Ontario? Fines range from $490 - $1,000. Assignment of three demerit points upon conviction. Third conviction : licence cancellation and the driver has to go back to the beginning of Ontario's graduated licensing program. “Drivers who endanger others because of any distraction, including hand-held and hands-free devices, may still be charged with Careless Driving under the Highway Traffic Act or even Dangerous Driving under the Criminal Code of Canada. Nunavut is the only region in Canada with no distracted driving laws. First time offense fines for distracted driving in Quebec is the lowest - $80-$100. The highest fines are in PEI – up to $1200. Manitoba and PEI have the most demerit points (5), with all other provinces having at least 3 demerit points. The Insurance Bureau of Canada provides a summary of the distracted driving penalties in Canada. Click here to learn more. Nearly 3 of out 4 Canadian drivers admit to driving distracted. This is alarming. It also means that the driver in front of you, behind you and beside you has probably driven while being distracted. Scary thought, right? Here is an even scarier one – you are 23 times more likely to crash if you engage in texting and driving. This is only the beginning of distracted driving stats and facts that you need to be aware of. 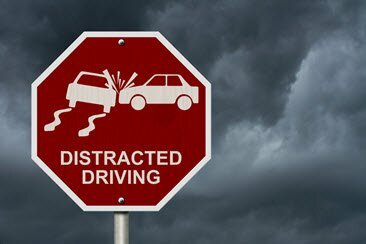 Considering these distracted driving statistics, it’s not that surprising that the OPP recently reported that distracted driving is the number one killer on our roads, causing more deaths than impaired driving and speeding. Deaths Have Doubled : Deaths from collisions caused by distracted diving have doubled since 2000. Person Injured Every 30 Mins : One person is injured from a distracted driving related accident every 30 minutes. 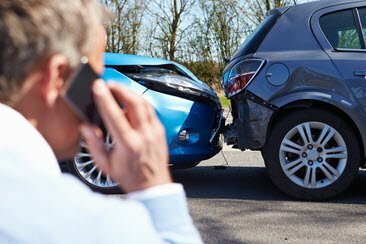 4 Times More Likely To Crash : A driver using a phone is four times more likely to crash than a driver focusing on the road (source). Don't Reach : Reaching for an object makes you 9 times more likely to get into an accident. 4 Million Accients Caused : Distracted driving is a factor in 4 million car accidents in North America each year. 3 Seconds Until Accident : It takes an average of three seconds after a driver’s mind is taken off the road for any road accident to occur. Teenagers : 94% of teenagers understand the consequences of texting and driving, but 35% of them admitted that they do it anyway. Texting : When polled, 77% of adults and 55% of teenage drivers say that they can easily manage texting while driving. 1. Visual Distractions : Taking your eyes off the road – using a GPS, looking out the window, looking for something in the car. 2. Manual Distractions : Removing hands from the wheel – holding your phone, eating, grooming. 3. Cognitive Distractions : Not having your mind on driving – daydreaming, talking to passengers. 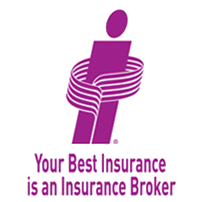 Increased Rates : Increase your insurance rates for the next few years. Lose Discounts : Cause you to lose your current car insurance discount. More Expensive Quotes : Makes it difficult for you to get cheap insurance quotes. Cancellation : Cause your insurance company to not renew your policy. High Risk : Make it difficult to get insurance coverage as you may not qualify for regular insurance. 1. Start By Stowing Your Device : Since you know you can’t use your device when driving, begin your travel by turning off your phone and putting it out of reach – such as in your glove compartment. If you’re not sure you can resist the temptation to reach over and check messages – an especially dangerous move – store your device in your trunk. 2. Review Your Route : Take some time to study any maps and directions you have before you set out to drive. “Figuring it out along the way” is not an effective strategy to avoid distracted driving. After your review, CAA suggests you put all reading material in your trunk. 3. Pre-program Your GPS : If you have a global positioning system and know the address of your destination, program your GPS and determine your route beforehand. How is using a GPS not against the law if it’s a mobile device? As Section 78.1 of the Highway Traffic Act points out, a global positioning system navigation device is a specific exception. But programming your GPS while driving is against the law. 4. Tidy Up Your Vehicle : Remove anything not needed for your trip and secure any loose objects. Sliding objects when you turn a corner or brake firmly can be distracting. And dangerous. 5. Prepare the Kids and Yourself : Make sure children have everything they need at hand – reading materials, toys, food and drink – before you go. And make sure you’re ready, too – including having all your personal grooming done before you get behind the wheel. 6. Secure Pets : If you don’t have a crate or a car barrier, consider purchasing a car harness or even a car seat to prevent your pet from jumping around in the vehicle. Keeping your pet restrained is important to both your safety and that of your pet. 7. Pre-set Climate Control and Radio : Okay, you’re finally almost ready to go. One more thing: ensure that your radio pre-sets are selected and that your climate control is set up before you pull out of the driveway. 8. 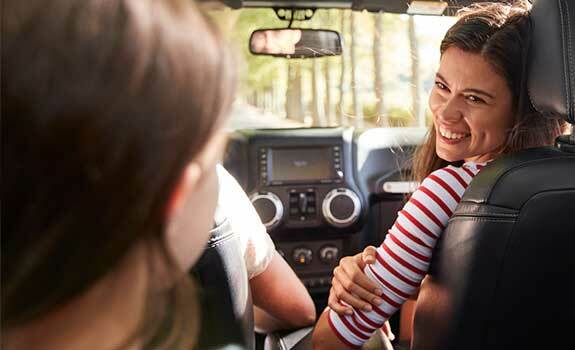 Make a Passenger a Co-pilot : If you’ve got a passenger beside you, allow them to help you focus on driving. This can range from assisting with directions to selecting music to opening beverages for you. 9. Don’t Eat and Drive : While an open coffee or drink sitting next to you in a cup holder shouldn’t be much of a distraction, don’t eat or drink anything that requires you to open or unwrap it or otherwise distract you. Don’t even think of trying to eat that big and messy burger or ice cream cone while you’re behind the wheel. 10. Concentrate and Drive Actively : Scan the road. Keep checking your mirrors. Keeping two hands on the wheel will not only give you better control but results in less fatigue. Don’t let roadside activities – whether it’s a yard sale or a sign-waving clown – distract you. 11. Take Breaks : As a general rule, you should stop at least every two hours to take a break from driving. Not only can you get necessary fuel for you, your fellow passengers, and your vehicle, but the rest and movement can help you can reenergize and refocus on the remainder of your trip. You have a choice when you get behind the wheel. Make a smart choice and choose to NOT drive while distracted. Put the phone away and focus on the road.